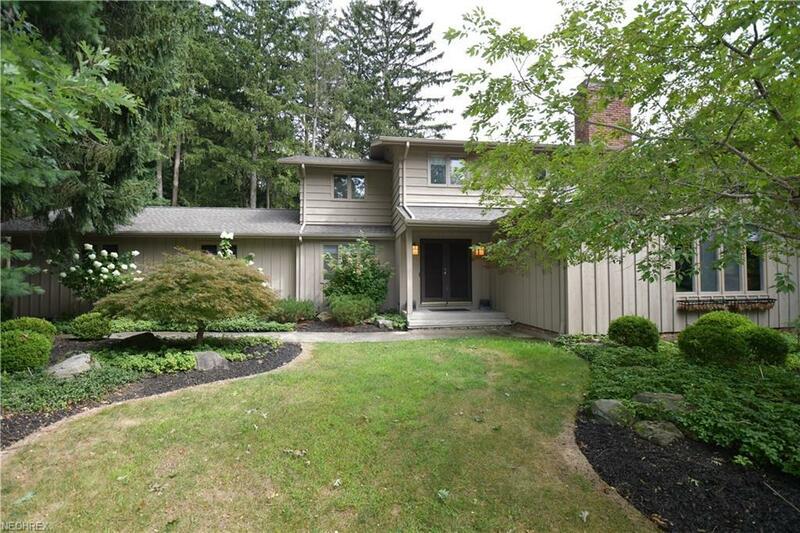 Located on the most spectacular cul de sac lot, this transitional Pepper Pike home is a gem!! 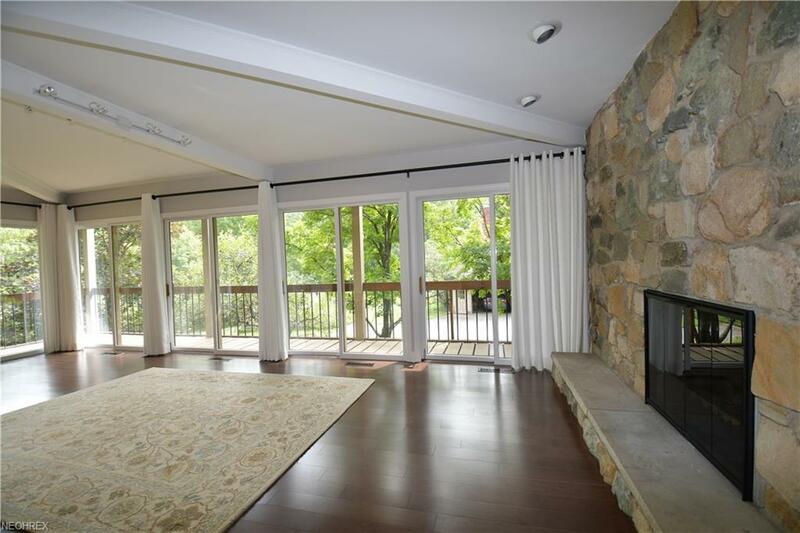 The wide open floor plan is highlighted by walls of windows which provide views of the glorious park like lot! 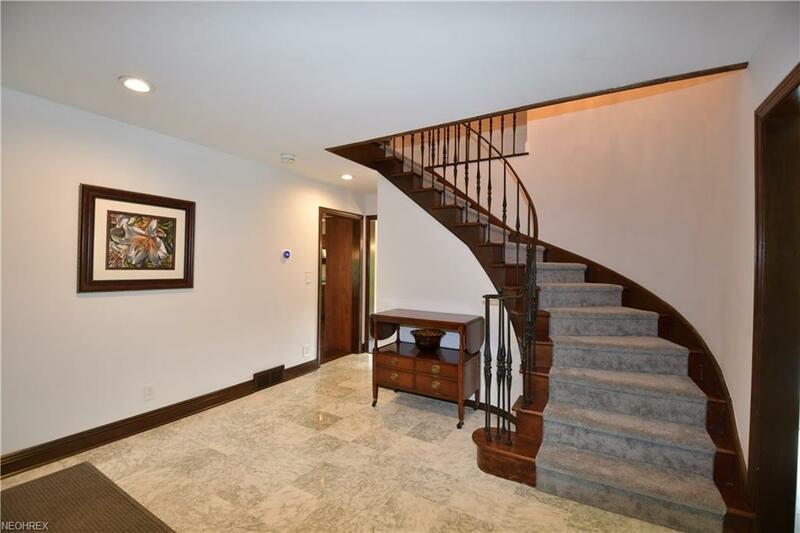 A 2 story foyer welcomes one into this home and opens onto the living room and dining room which feature a gorgeous stone fireplace, hardwood floors, and a beamed ceiling. The updated kitchen has stainless steel appliances and large eat-in area. 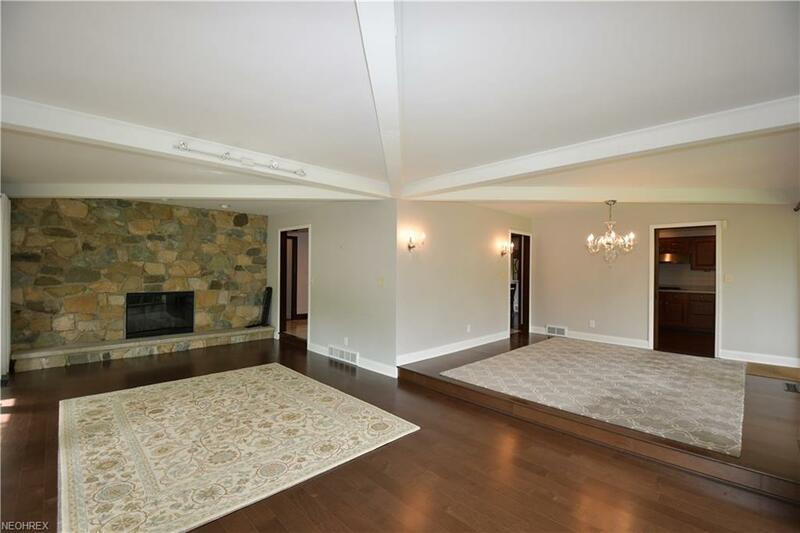 A lovely family room has a fireplace, a wall of built-ins, and a built-in desk area! Upstairs there are 4 spacious bedrooms including a private master suite with a fabulously updated bathroom! The walk-out lower level has a billiard room/club room and an exercise room plus lots of storage! Additional highlights of this home include a first floor laundry room/mud room, fresh updated dcor, newer carpet, and a newer roof! Summers will be enjoyed on the spectacular wrap around deck which overlooks the glorious yard! This is a must see!!! !